iOS 4.2 Final Delayed Due to iPad WiFi Issues, GM 2 Coming Tomorrow? The final version of iOS 4.2 was originally scheduled to drop sometime this week. We then heard about reports of it being released on Friday (Tomorrow), with iTunes 10.1 and Mac OS X 10.6.5 on this past Wednesday. While OS X 10.6.5 did drop on time, iTunes 10.1 didn’t. And now the sources at MacStories have informed them that the reason why iTunes 10.1 was not released on time was because of the last minute WiFi bug found in iOS 4.2 GM seed for iPad. 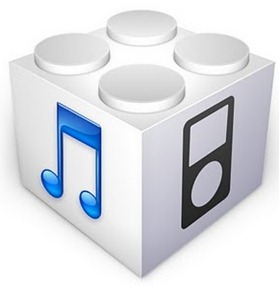 Apple is now expected to release second GM seed of iOS 4.2 tomorrow, which is likely going to be followed by at least a week of extensive testing before releasing it to public. You can see the bug in question in the video embedded below. Even if the iPad manages to successfully connect to a local network, the connection is lost after a few minutes. This seems to be the most common problem among users, although some can’t simply use Safari at all. The bug has been reported to Apple, and they apparently decided to delay the release of iOS 4.2 to fix the bug. Expect Apple to release iOS 4.2 before Thanksgiving in US (i.e. 4th Thursday of November).